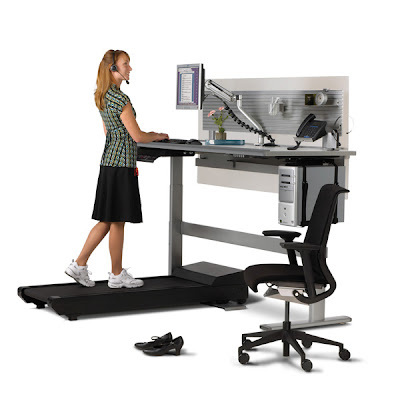 Weighty Matters: World's Greatest Treadmill Desk? I love this desk. 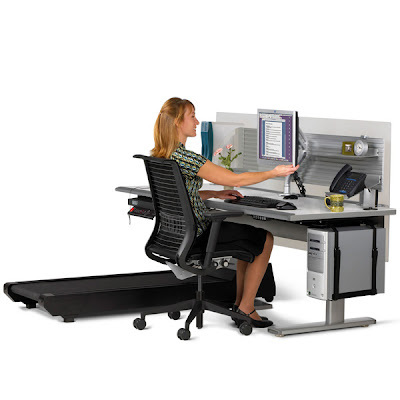 It's Steelcases's "Sit-to-Walkstation"
I've thought about building my own treadmill desk but my concern has been that certainly at times I'll need to sit. This desk can do both (it moves).